Our sewing shop in Chelmsford is a true haven for anyone passionate about arts and crafts. Whether you’re looking to pick up a few accessories during a trip into town, or want to compare the latest sewing machines and overlockers, including those from top brands such as Bernina and Brother, our Chelmsford-based needlecraft store provides absolutely everything you need to complete your project. 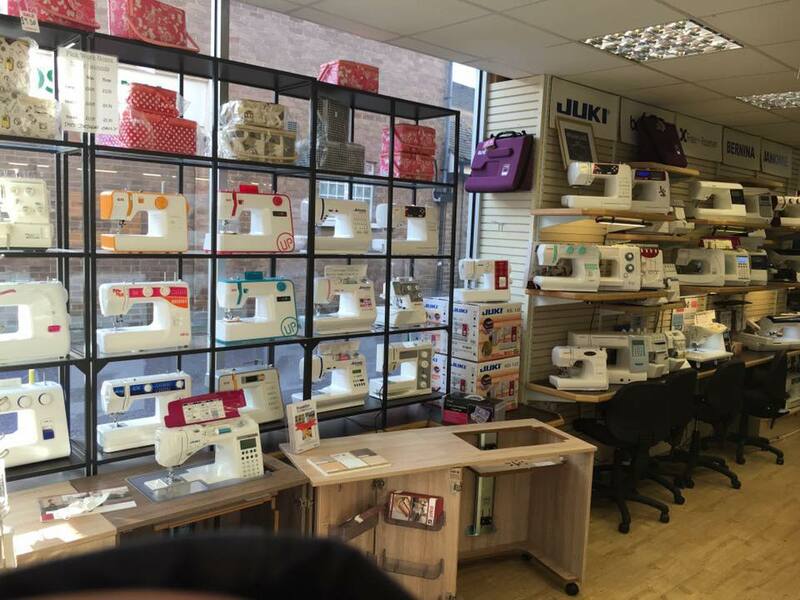 Aside from our comprehensive selection of sewing machines, we also stock an excellent range of fabrics, wools and haberdashery items. We have experienced dressmakers on hand at our store to help guide you through your options and provide expert advice when needed. To speak to a member of staff at our Chelmsford sewing shop, please call 01245 346300. When visiting us by car, you can enjoy free parking to the rear of the shop. Our premises is an approximate 10 minute walk away from Chelmsford railway station.